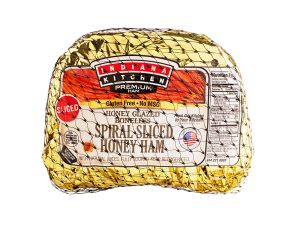 Turn any meal into a full-blown celebration with ham from Indiana Kitchen. Our hams are sourced from nearby Midwestern farmers, hand-selected for quality, then cured with all-natural ingredients and smoked over real hardwood chips to achieve that sweet hickory flavor your family will love. 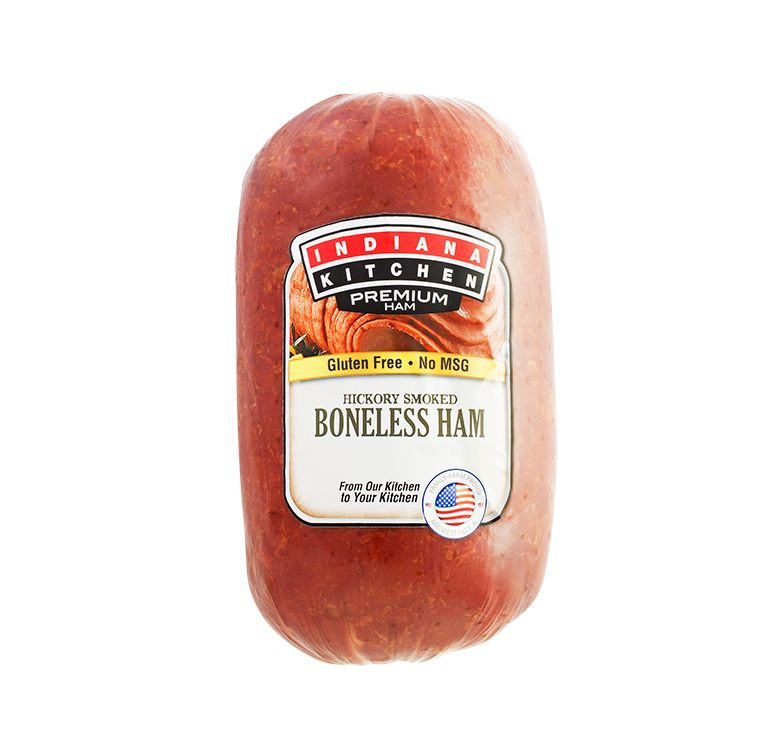 All our juicy tender hams are pre-cooked and only require heating, so you can spend more time focusing on what matters. Relax…and let our kitchen do the cooking. 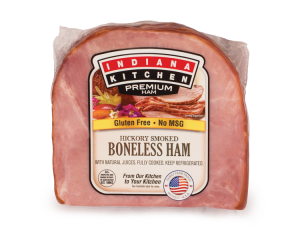 Our hickory-smoke boneless ham is expertly cured the old fashioned way. 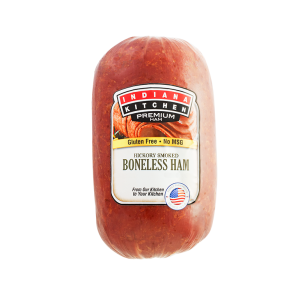 Fully cooked with no added hormones or MSG, simply heat and enjoy the smoky flavor you know and love. 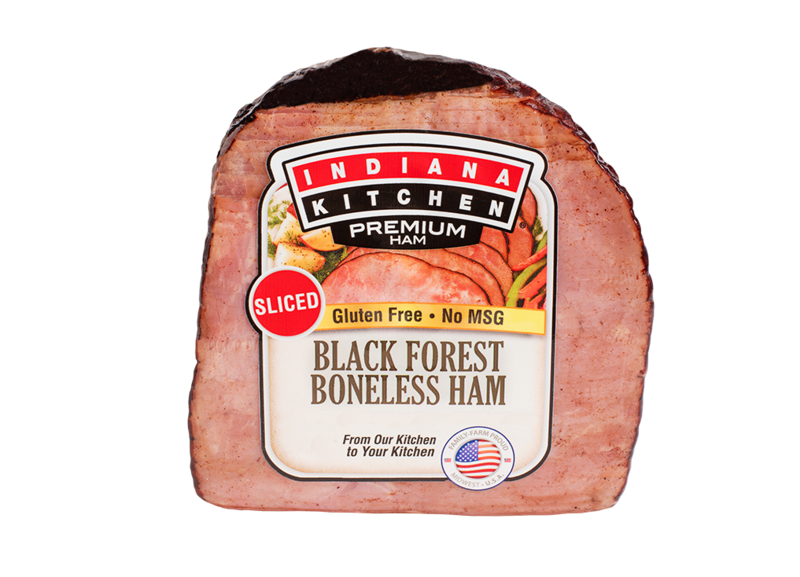 Half the size but with all the flavor, this ham is smoked over real hickory woodchips. Perfect for smaller gatherings. Full-sized version of the above. No bones for easy slicing and serving. Cured in traditional recipe and smoked over real hickory woodchips. A true classic. 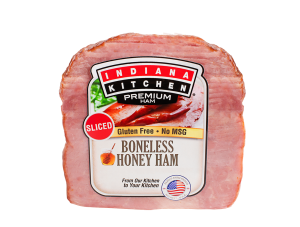 Like the classic ham above, but with honey added to its curing recipe to achieve a slightly sweeter flavor. 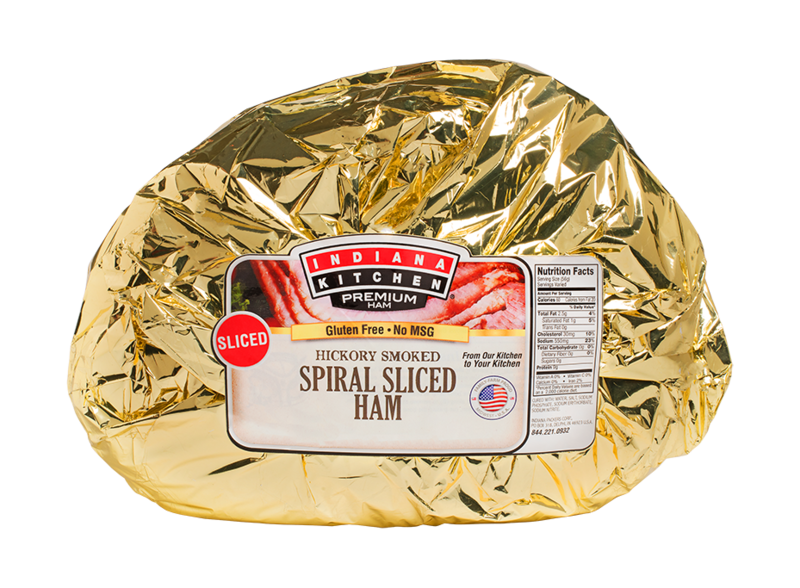 Slowly smoked and expertly cured the old-fashioned way, our hickory smoked ham is a real showstopper! Spiral-sliced for serving ease, our hams are always hormone, gluten and MSG-free*. 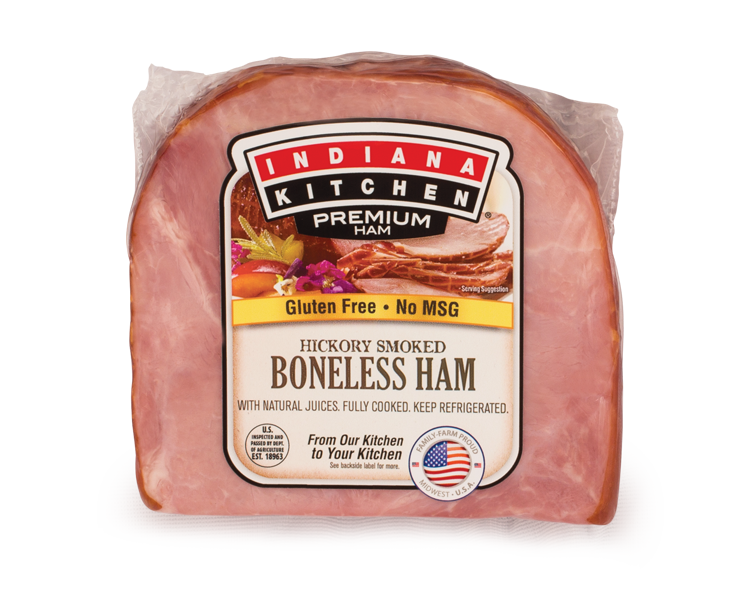 This ham keeps its bone in for a full, natural flavor. The ham of hams! Prepared like the above hickory smoked ham, but with a special bourbon glaze that complements the ham’s natural flavor. This ham brings the family together. 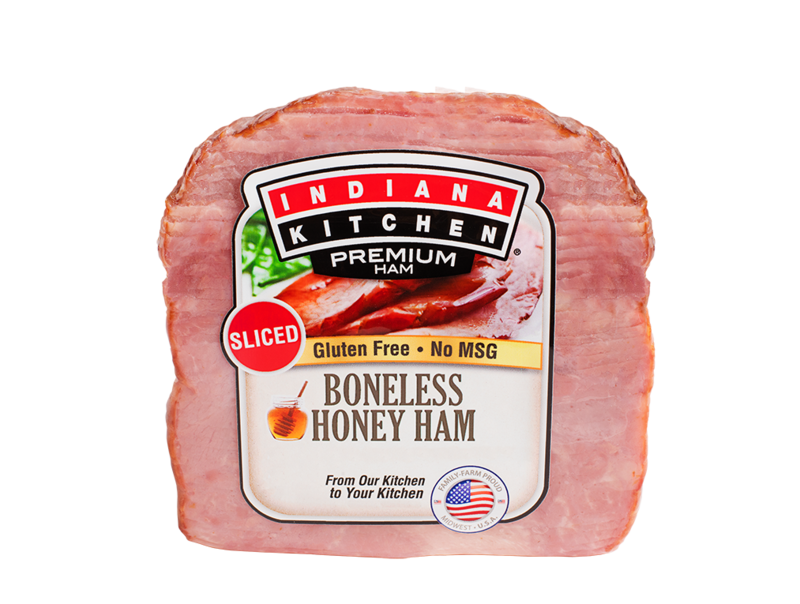 This ham takes the bone out and adds honey to its curing recipe for effortless slices that deliver a blissful mix of sweet and savory. 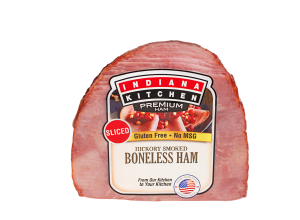 No bones about it, these hams are sliced and sized for eating any day of the week. 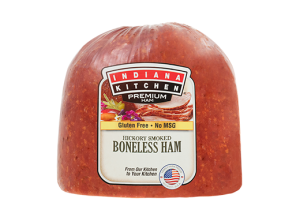 The quarter size makes this traditional ham convenient for smaller meals. 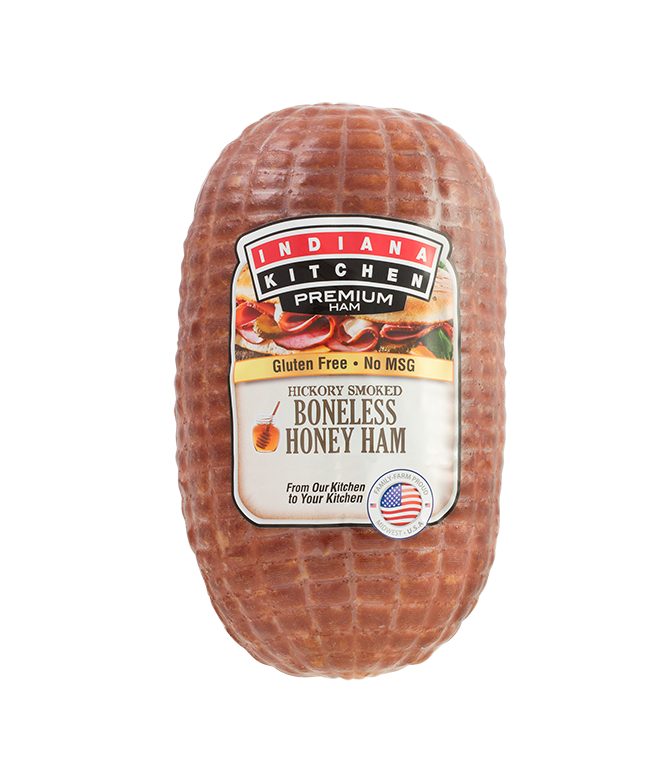 A honeyed version of the Hickory Smoked Ham above to achieve a sweeter flavor. 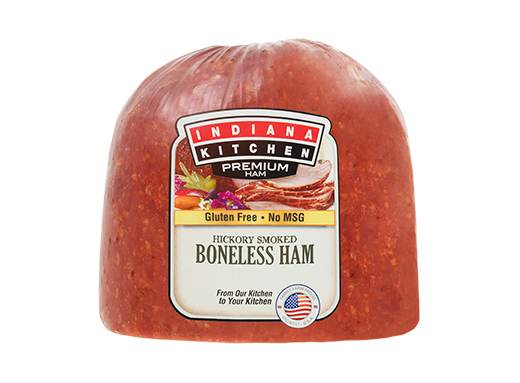 It’s sliced thick, so you don’t have to add layer after layer to your sandwiches like you have to with conventional paper-thin lunchmeat ham. A darker, richer variety of the Hickory Smoked Ham above. 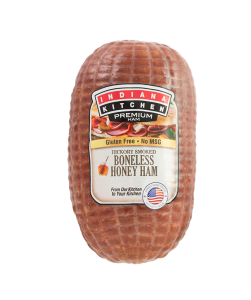 A brown-sugared version of the Hickory Smoked Ham above with sweeter notes to its flavor. 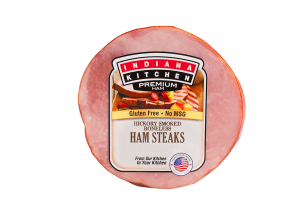 Give beef a break and throw one of our ham steaks on the grill instead! 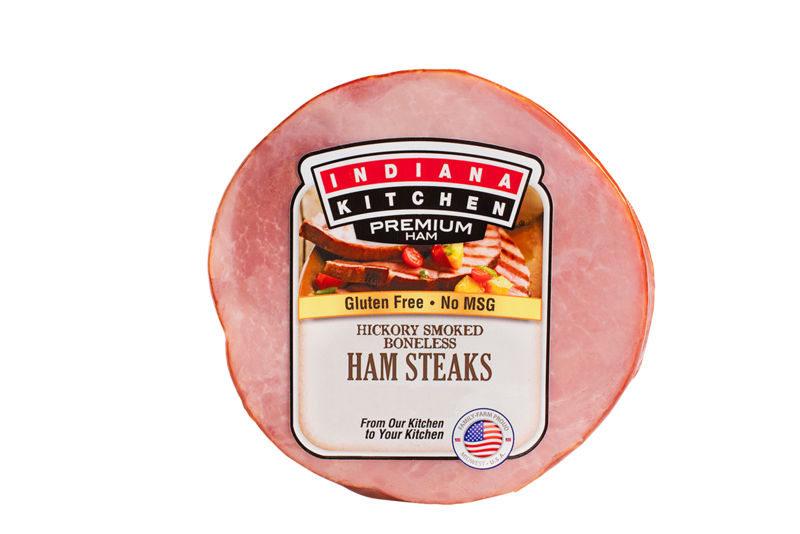 Smoked over natural hickory wood, our ham steaks are precooked and just need heating, making mealtime even easier. *Federal regulations prohibit the use of hormones in pork production.